Do you like to move about? When you move about, would you like to do so in a manner that is sporty? Then perhaps you need a Sportabout in your life! Prior to seeing this ad, I had no idea what a Sportabout was. 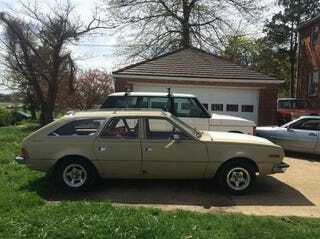 The seller is very informative though, pointing out such critical information as “The car is basically entirely made of Brown.” And what’s under the hood? A fire breathing V-8? Nope, its an honest and true inline-6. If this was a manual, it might be the most Oppo/ Jalop car ever. I’m not sure if NPoCP posts are really my territory but I just had to share this.